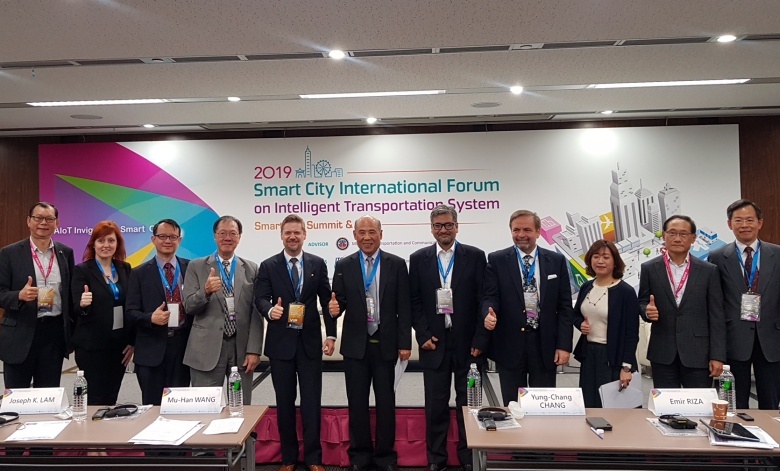 The ECCT's Low Carbon Initiative (LCI) was a co-organiser of the "2019 Smart City International Forum on Intelligent Transportation Systems". 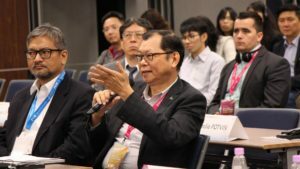 The forum was one of the activities held as part of the 2019 Smart City Summit & Expo and arranged by the Ministry of Transportation and Communications (MOTC), the Intelligent Transportation Society of Taiwan (ITS Taiwan), the Taipei Computer Association (TCA), the Taipei City Government and the Advanced Public Transportation Research Center (APTRC) at National Taiwan University (NTU). 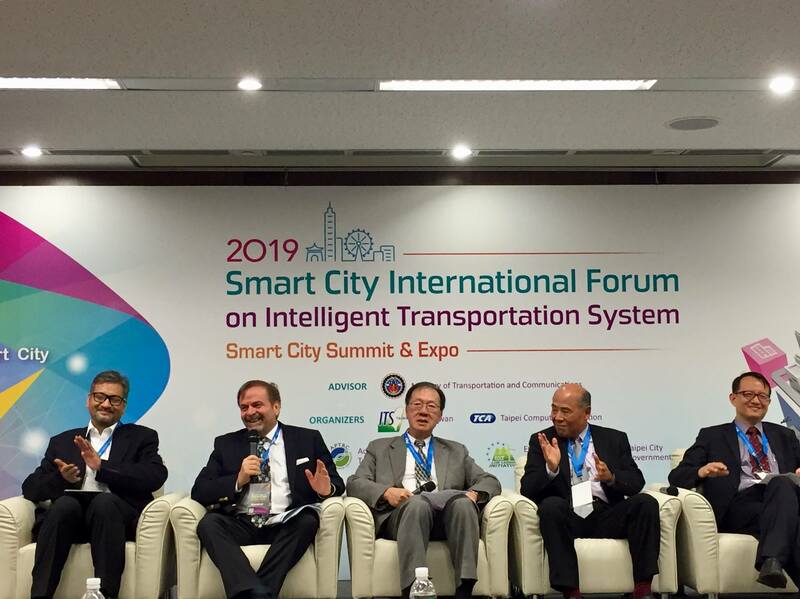 ECCT Chairman Giuseppe Izzo participated in a smart transportation policy panel discussion in his capacity as a member of the LCI Steering Committee. 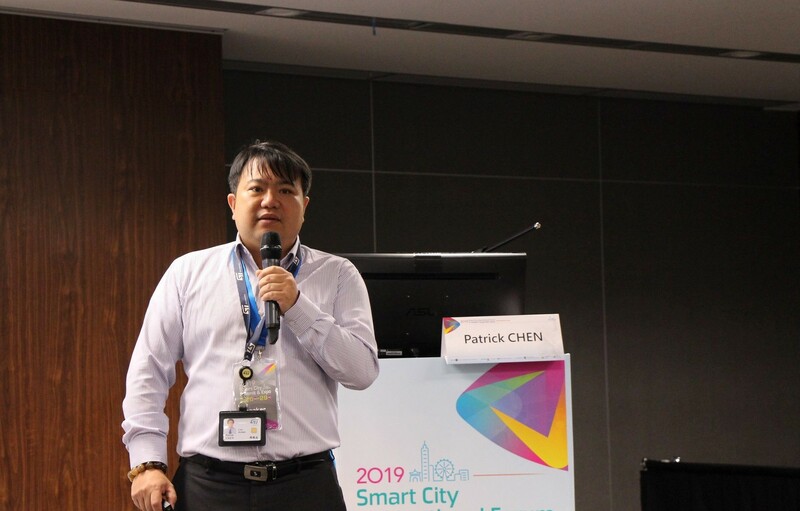 In addition, Jan Hollmann, ECCT Director and Managing Director of Bosch Taiwan gave a presentation in the session on “Smart Mobility Applications” while Patrick Chen, Marketing Manager, Automotive and Discrete Group, Greater China, Asia Pacific Region for STMicroelectronics gave a presentation in the session on “Mobility as a Service”. The event began with opening remarks by guests of honour, Dr Wang Mu-han, Director of the MOTC’s Office of Science and Technology Advisors and Dr Chang Yung-chang, President of ITS Taiwan. The guests of honour also participated in the panel discussion together with Giuseppe Izzo and Joseph Lam, Former Chairman and Chair of International Business Development, ITS Canada and Emir Riza, Executive Director of ITS Indonesia. The panel discussion was moderated by FY Siren Chen, Director of CommonWealth Magazine. 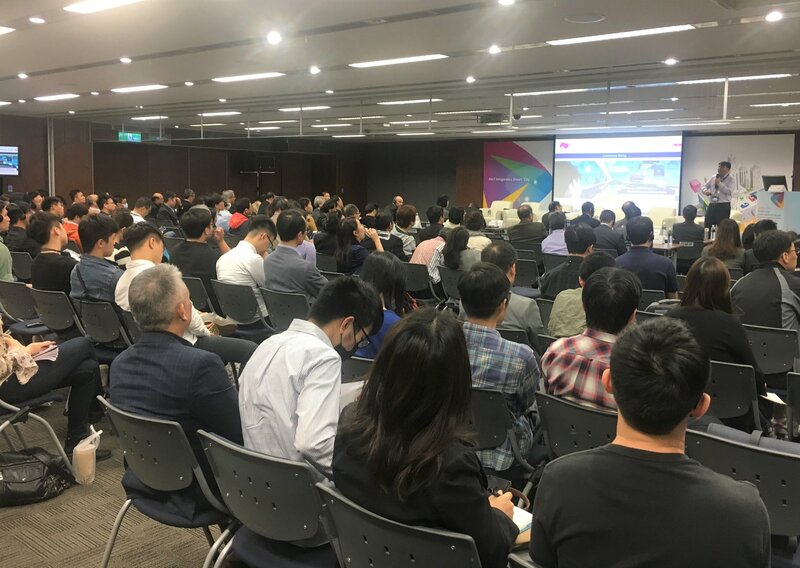 During the panel discussion panellists discussed the trends, prospects and challenges of making transport in cities more intelligent and efficient. 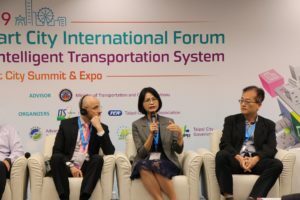 A key theme that emerged during the discussions of various topics is the need for a more coordinated approach to improving transport in cities. 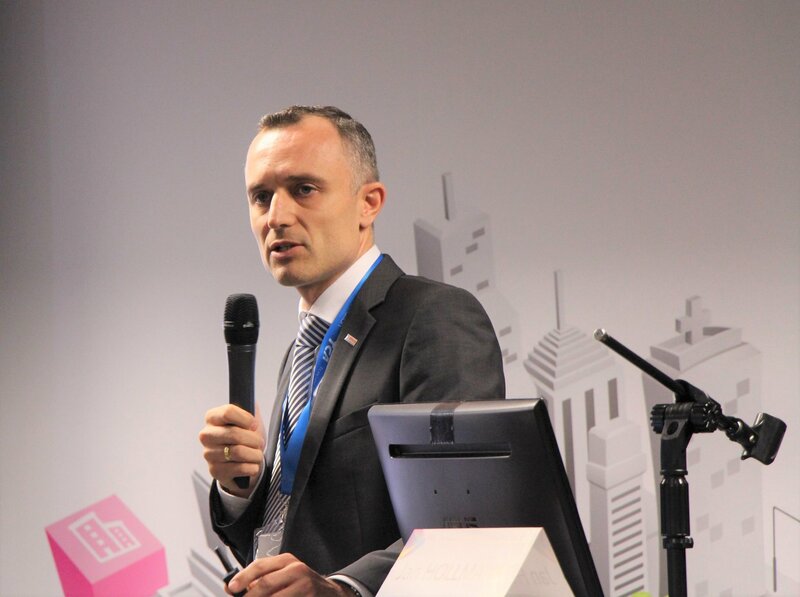 Giuseppe Izzo noted that numerous useful technologies and solutions are already available, ranging from multiple forms of public transport, electric vehicles, features in vehicles themselves that make them safer and allow them to be connected to other vehicles and infrastructure, ever-more sophisticated mapping and GPS, data collection, artificial intelligence analysis and numerous programmes and applications. However, many of these are expensive and several panellists noted that there is still a tendency for developers to work in silos. For the real benefits of all the technologies to be realised, the various technologies and systems need to be much better integrated. This requires leadership and coordination to get the various stakeholders to work together. 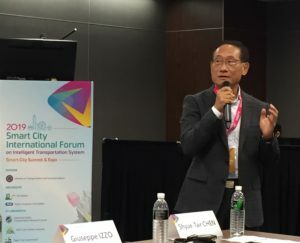 Moreover, Joseph Lam noted a number of technological “solutions looking for a problem”, in other words, applications which may be cool and trendy, but do not serve a very useful purpose. Instead of vanity projects, he said that developers should focus on finding innovative solutions to real problems facing people. For transport in cities this means finding ways to transport people and goods more efficiently (faster and with less energy), reducing pollution and traffic congestion. Chang Yung-chang noted that utilising data from Taiwan electronic toll system could provide multiple benefits. Collecting, analysing and sharing data on the flow of vehicles, for example could help to redirect traffic to less congested routes, thereby saving all motorists time and fuel. The same data could also be used by a whole range of service providers from vehicle service stations and hospitality providers. Moreover, traffic data could be used by road maintenance providers to predict future maintenance needs based on the volume of vehicles. 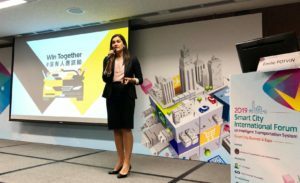 Ms. Émilie POTVIN, Head, Public Policy & Government Relations, North Asia at Uber sharing Uber's #WinTogether campaign to ignite opportunities in shared mobility. Emir Riza noted a particular problem common in Indonesia is a lack of long-term planning and follow-through. He cited an example of a public transport system project started by one administration only to be cancelled half-way through by the next administration, an enormous waste of time and resources that could have been avoided with proper public consultation, support and planning. © 2019 European Chamber of Commerce Taiwan. All rights reserved. Web design by FT.